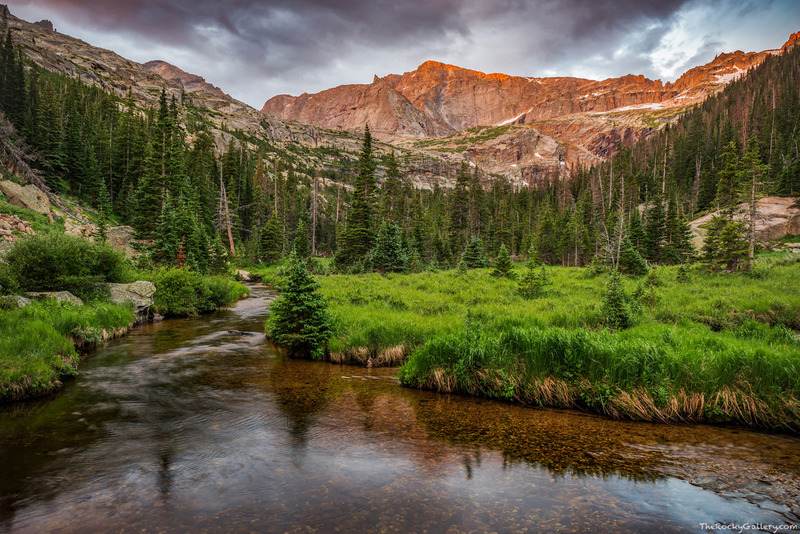 Storm clouds roil over the top of Chiefs Head Peak along a placid Glacier Creek on a July morning in Rocky Mountain National Park. The sun managed to illuminate the top of Chiefs Head Peak just above the Spearhead for a short period of time before ducking under the cover of the clouds again. Photo © copyright by Thomas Mangan.